Morgan joins Ryan Hunter-Reay, reigning IndyCar champion and Fort Lauderdale hometown hero, who is serving as Co-Grand Marshal of the 2013 Seminole Hard Rock Winterfest Boat Parade. Morgan and Hunter-Reay will be aboard the Grand Marshal Showboat presented by JM Lexus. Comedian Tracy Morgan is taking on the role of Grand Marshal of Saturday night’s Seminole Hard Rock Winterfest Boat Parade. 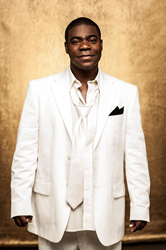 The beloved American actor and comedian is best known for his eight seasons as a cast member on Saturday Night Live (SNL), as well as seven years in the role of Tracy Jordan on the NBC series 30 Rock. Morgan’s recurring SNL characters include Bronx resident Dominican Lou on “Weekend Update,” Reggie Owens of “Wong and Owens,” “Good Morning with Liza” sidekick Captain Munclair Vanderhousen III, Tate Witherspoon of the tough-talking law firm Russell & Tate, “Judge Judy” bailiff Bert and more. Over the years, he has performed memorable impressions of Maya Angelou, Marion Barry, Cuba Gooding Jr., Tito Jackson, Star Jones, Marion “Suge” Knight, William “The Refrigerator” Perry, Della Reese, Busta Rhymes, Mr. T, Mike Tyson, Maxine Waters, Thelma Weston, Reggie White and Tiger Woods’ father Earl. He also appeared as the main character in a music video for the hit single “Notorious,” which featured Puff Daddy and Lil’ Kim. As a stand-up comedian and sketch-comedy player who has worked the national comedy circuit while appearing on several television programs, Morgan has become a household name. His television appearances include the recurring character “Hustleman” on Martin, Apollo Comedy Hour, Def Comedy Jam, Entertainment Tonight, The Rosie O’Donnell Show, Showtime at the Apollo, HBO’s Snaps, Uptown Comedy Club and The View. In addition, his film credits include co-starring with former SNL cast member Jim Breuer in Half Baked, A Thin Line Between Love and Hate, 30 Years to Life, How High and Jay and Silent Bob Strike Back. Morgan’s extensive work in films includes Why Stop Now with Jesse Eisenberg and Melissa Leo, as well as Cop Out, the remake of the British film Death at a Funeral, Dimension Films’ Superhero Movie, First Sunday opposite Ice Cube and Katt Williams, The Longest Yard opposite Adam Sandler, the Wayan’s brothers Little Man, Jay and Silent Bob Strike Back and Head of State. Winterfest is a Florida not-for-profit organization based in Broward County that produces a variety of events including the free public event known as "The World’s Most Watched Boat Parade." Millions via television and approximately one million spectators view the Parade on the 12-mile route. Winterfest also hosts annual events to enhance the community’s image and provide unique, wholesome family entertainment. For more information on Winterfest, please contact the office at (954) 767-0686 or their website: http://www.winterfestparade.com. Seminole Hard Rock Hotel & Casino invites you to PLAYHARD! Play, stay, dine, and shop at South Florida’s ultimate entertainment destination. Over 90 tables offer Blackjack, Mini-Baccarat, Pai Gow Poker, Three Card Poker, Texas Hold’em Bonus Poker, Casino War and Let it Ride on a nearly three-acre casino floor. Additionally, over 2,500 slots include the Native-American Casino linked Multi-Area Progressive Jackpots and Mega Jackpots. Separate high-limit rooms for table games and slots, in addition to a non-smoking room, are available for guests to enjoy. Loyal Player’s Club members also have access to the exclusive VIP Plum Lounge and VIP Chef’s Table show kitchen. The Poker Room at Seminole Hard Rock hosts various games and tournaments of Limit and No Limit Texas Hold ‘em, 7-Card Stud and two dollar and four dollar limit Omaha Hi Lo games. Located inside the casino is Hard Rock Cafe -Hollywood, part of Hard Rock’s 138 globally recognized rock ‘n’ roll restaurants. The Green Lodging Certified by the State of Florida, AAA Four Diamond-rated resort showcases 500 luxurious guest rooms, 40,000 square feet of meeting room space, Rock Spa, award-winning restaurants, high-energy nightclubs, lounges and bars, boutique retail shops, the 350-seat Paradise Live theater and the 5,500–seat Hard Rock Live concert arena. Located on State Road 7 (U.S. 441) in Hollywood, Florida. Take I-95, exit Stirling Rd. and travel west to 1 Seminole Way. 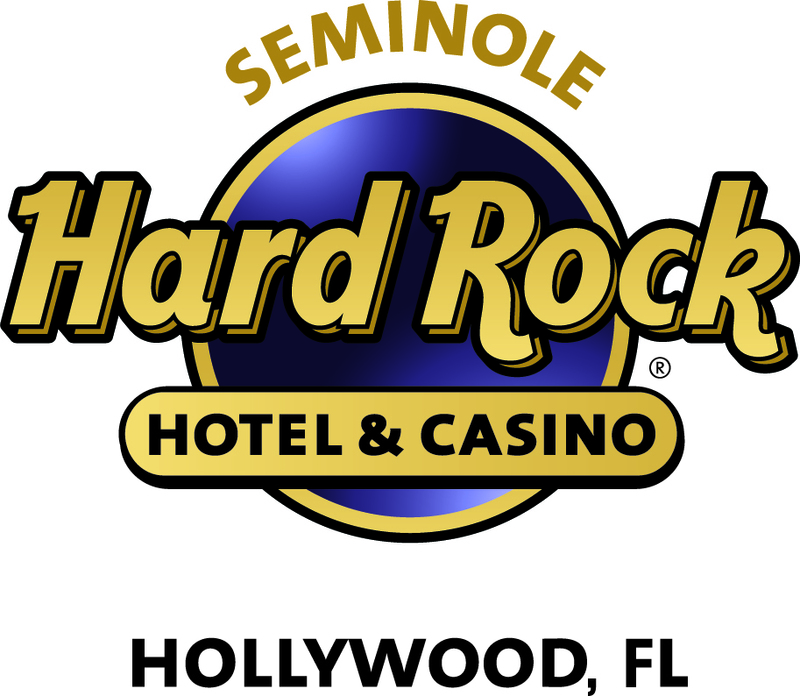 For more information, call (954) 327-ROCK, 1 800-937-0010 or visit us online at http://www.seminolehardrockhollywood.com, facebook.com/seminolehardrockhollywood, twitter.com/SHRHollywood, instagram.com/semhardrockhollywood and youtube.com/semhardrockhollywood.